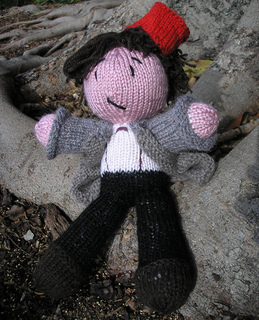 The knitted version of Big and Cuddly Eleventh Doctor! Any DK yarn should be fine. Best to use colours all in the same brand if possible. Make for yourself, friends or charity, but please respect BBC trademarks and do not sell finished items. Help keep these patterns available for everyone to use by respecting these terms. Feel free to contact me at pixelatedmushroom@gmail.com if you need any help.